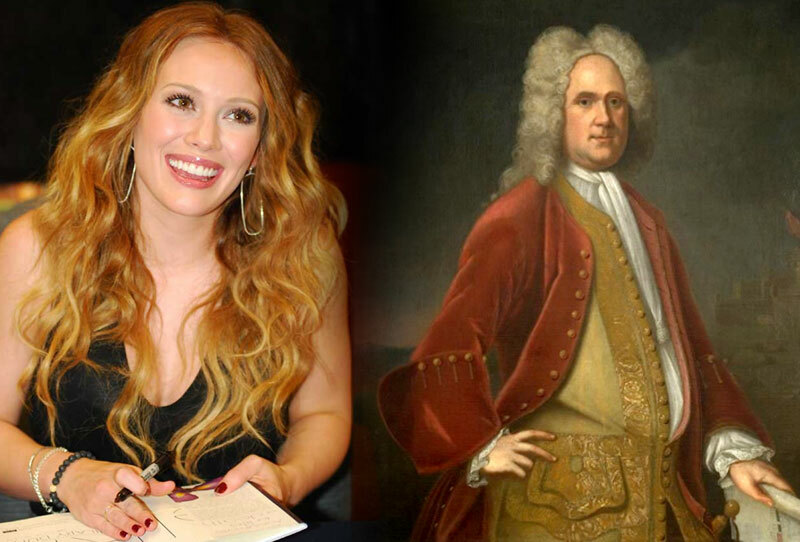 On a recent episode of the TLC TV series, “Who Do You Think You Are?”, actress/singer Hilary Duff found out that her 7x great-grandfather was early colonial Virginia Lt. Governor Alexander Spotswood! Here at Germanna, we knew about this early on but were unable to say anything as we did not know what material they’d be using. It was great to see Spotsylvania County (“Spotswood” in Latin) mentioned in the show, and, if you thought the story the TV series told of Spotswood defeating the famed pirate, Blackbeard, was fascinating, join us at our conference on Saturday, July 14 in Culpeper, VA, as Kevin Duffus will be doing a presentation on Blackbeard’s Last Battle, which took place 300 years ago this year. The notorious pirate Blackbeard stands among the best-known figures of early colonial American history, yet no one still knows who he really was. To this day, his identity, his origins, and his motivations for committing acts of piracy remain in contention. Did he hail from England, Jamaica, or the Carolinas? Was his surname Teach, or Thatch, or something else entirely? Was he an undistinguished common sailor suddenly thrust into command of a pirate ship? Was he a former Royal Navy sailor and an aristocratic, Anglican slave-owning planter who inexplicably turned Jacobite and pirate? Or was he a mariner on a salvage mission lured to piracy by a mob of looters, and who later became a pawn in an attempted political coup in proprietary North Carolina? These conflicting interpretations have provoked hostile debate. At stake are the credibilities of monolithic institutions and museums, the reputations of researchers and authors, the financial stakes of publishers, and the future of a popular historical narrative. History carved in stone is never easily disconfirmed, especially when history’s icons have been sculpted and burnished by centuries of myth and folklore. For more than 45 years, award-winning research historian Kevin Duffus has followed the wake of the notorious pirate’s journey through history. Along the way he has discovered significant clues and pivotal waypoints in the Blackbeard records that point to a startling conclusion—one that many scholars do not want the public to know. According to Wikipedia, Hilary Duff is an American actress, singer, songwriter, businesswoman, and author. She began her acting career at a young age and quickly became labeled a teen idol as the title character of the Disney Channel television series Lizzie McGuire. Duff has appeared in numerous films, with leading roles. As a singer, she has received platinum and gold certifications for her albums and has sold an estimated 15 million records since her debut in 2002. Duff’s success in both acting and music has led to her becoming a household name and as such as created merchandise such as dolls, clothing, and fragrances. Lt. Gov. Spotswood has a very close connection to the Germanna story as he was instrumental in bringing the Germanna colonists to Virginia and had the first group of colonists build Fort Germanna. These colonists now have descendants all across America.